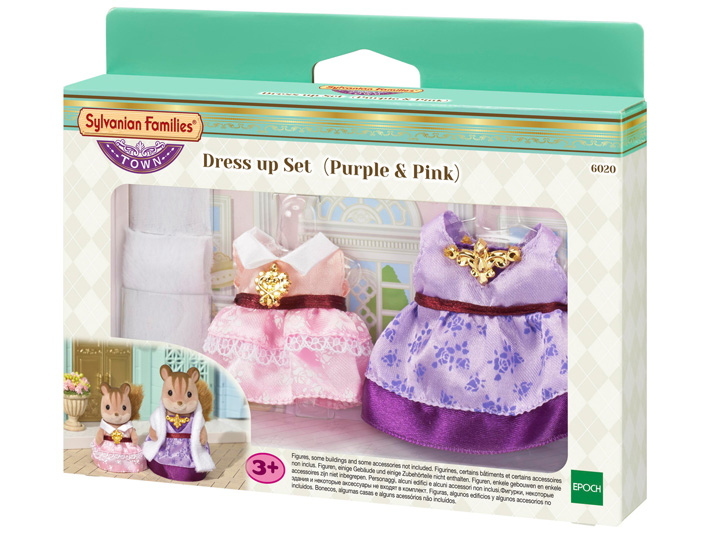 The Dress Up Set (Purple & Pink) is a set of dresses for mother and girl figures. 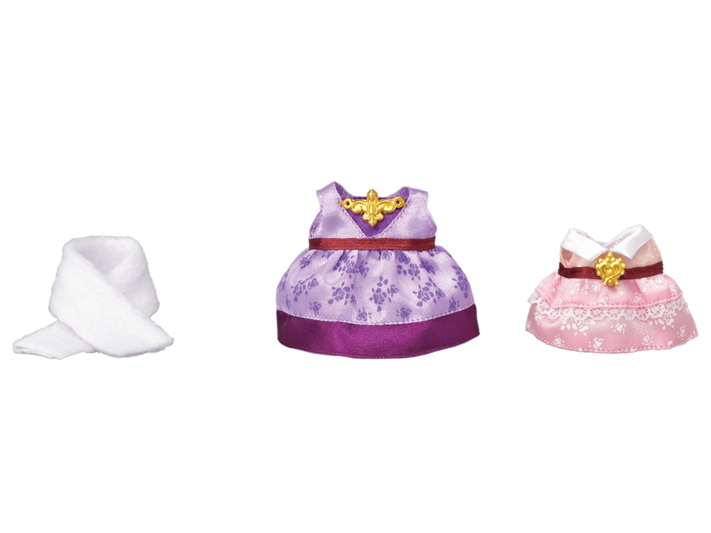 The dresses are neatly sewn with elegant satin fabric; perfect for going out to town. 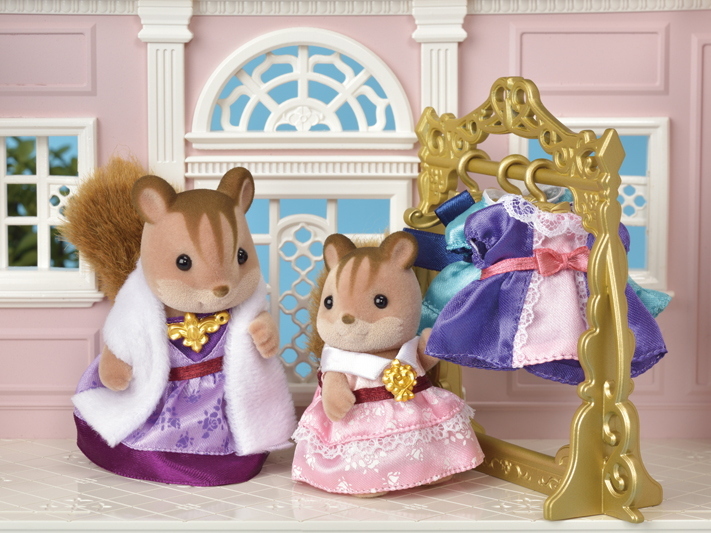 Each dress has a gorgeous golden accessory. (Figures are not included.) 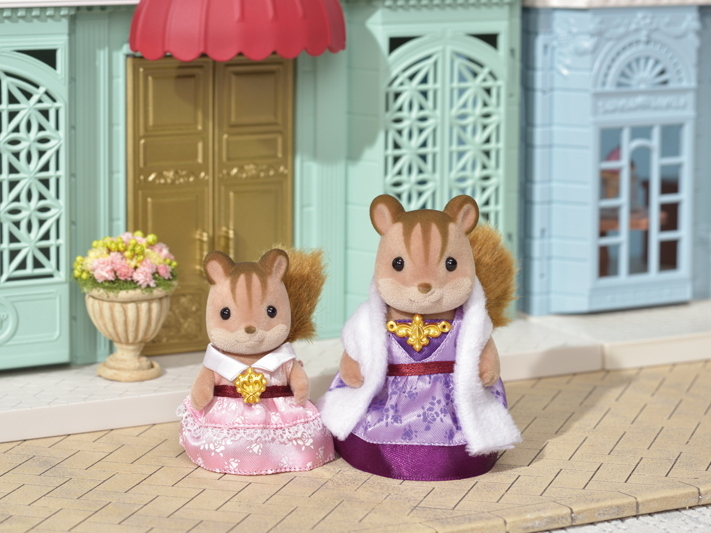 Dress up mother and girl figures and combine them with the other Town series items for more fun (sold separately).